Last year my wife and I took advantage of the ING Direct pre-TFSA deal where they paid extra interest on your pre-TFSA contribution which kind of made it like a TFSA. This year, ING is doing it again – if you have money earmarked for your 2010 TFSA contribution room then you can put the money into their TFSA “kick start” account and they will pay extra interest to make up for any taxes on the interest. Of course one big difference this year is that the TFSA high interest account interest rate is 1.05% unlike the 3% offered last year. Needless to say, you aren’t going to save big bucks by taking advantage of this offer but in our case we save about $9 which is worthwhile since we were going to move this money into a TFSA anyway. Being able to move the money now is the best perk of this deal. ING will move the money into an actual TFSA on January 1, 2010. Here is a refresher on the TFSA rules (Tax Free Savings Account). I used to be very anti-emergency fund but I’ve changed my mind on that subject. Although I still agree in theory that using a line of credit for an emergency fund is a more efficient way to manage your money – having survived several rounds of job cuts in the past year I have embraced the idea of having plain old cash as an emergency fund. Our EF is $20,000 which is about 5-6 months of expenses. ING Direct has a promotion going on where you can use an existing customer Orange Key referral code and both you and the original customer will receive a bonus of $25. 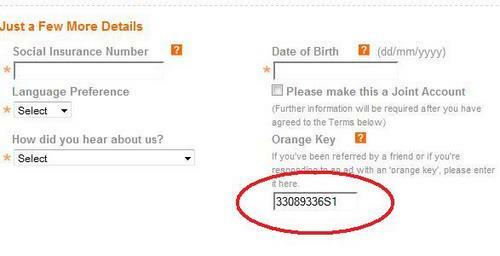 Set up new account on the ING Direct main page. Enter the orange key code 33089336S1. See pic below. Fund the account with $100. Right now, I’m rather looking at using my TFSA contribution room for non-registered investments that I already have, such as income trusts and closed-ended funds. Some of those pay me 8-10% in interest, so I’ll be saving much more tax than I would by putting cash in an ING account. I will still have some cash in my emergency fund. It’s just that I would rather pay the taxes for $5000 in cash paying 1.05% interest than on $5000 in investments paying 8% distributions. FoF – I agree, putting non-registered high income investments (if you own any) into a TFSA makes a lot more sense than keeping your emergency fund in there (if you have one). FOF – Good point yes. Not sure how big of a difference it would make when you only have 5K in the account but over time it will indeed make a big difference. Good post FP, thanks for bringing that up! 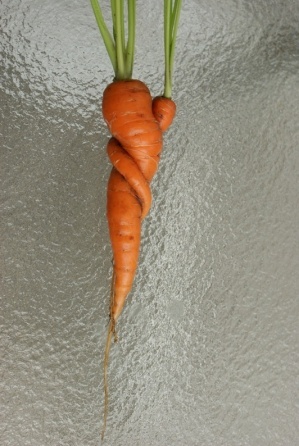 Squawk – all our carrots were somewhat bitter. However with some cooking and sugar coating they turned out ok.
IS – everything is theoretical with the TFSA because of the low limits – but give it time. Eventually everyone will have significant TFSA accounts/contribution amounts. Strikes me there will be a bunch of higher interest rate offerings during RRSP season. Why lock into ING Savings, when other options will be available come spring which will likely pay more than $9 over the life of the savings vehicle. DAvid – that’s not a bad thought. I’m not as confident that the interest rate offers will be high enough in the spring to make it worthwhile. And will they stay at those rates? so even if you looked at these options you’d be ahead. Since your plan is to remove the money for emergencies only, you might take a hit on some of the interest, but since you have no real plans to spend the cash, why not lock it in for a year or two (or five) and get a better deal. Once you have set up the GIC ladder, you’ve got cash coming due each year, with no penalty. I expect rates to start to climb. Mortgages are starting to ease, so interest rates should follow soon. DAvid – I’ll have to think about this. Given that I’m probably not going to use the EF, taking a chance on termination fees is probably a good move. I’ll take a closer look at the fees and see what comes out. This could be a long question but I will try and keep it short. I am almost 38 married with 2 young kids, 2 and 3. I have about 40k in a pension fund with my old job ad my new job does matching RRSPs which is at 10%. My wife has rrsps aswell likely closer to about 5%. 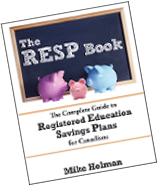 We both have lots of top up room in our RRSP�s. I was looking at a TFSA with RBC, but realise ING or someone else will likely be cheaper. I am thinking of using the TFSA for a combo of emergency money, kids educations, retirement top up etc. The TFSA would hold some MMF�s, ETFS, maybe some divedend stocks. I never really thought a lot about these things when was on the pension plan, but now I am playing catch up and trying to learn quickly. I appreciate any feed back.